Nina attended the 2019 Hollywood for Science Gala in Los Angeles last night and she looked gorgeous in cushnie, hair done by Riawna, Makeup By Angela Levin and styled by Kate Young. On January 21st, 2010 Nina Dobrev Network opened it’s doors and here we are 9 years later celebrating our 9th Anniversary on the World Wide Web and I couldn’t have done it without Nina and all of you continuing to visit the site on a daily. NDN has grown over the years and grew a reputation for being one of the Best Nina Sources Online to this day. I want to thank each and every visitor and Nina of course for making this possible to celebrate another year Online. I want to thank you all from the bottom of my heart for supporting Nina over the years and for visiting NDN it means the world to me and I can’t wait to see what 2019 has in store for Nina’s career because so far it has been such a fun ride. Check back later today as I’ll be launching a giveaway to celebrate our Anniversary to show my thanks! Celebrating 8 Years Online Thank You All! On January 21st 2010, Nina Dobrev Network opened it’s Doors and in that moment I had no idea what ride I was in for. Nina has grown into a strong beautiful woman in the past 8 years, and so much has happened that we as Nina fans remain in awe of her true character. 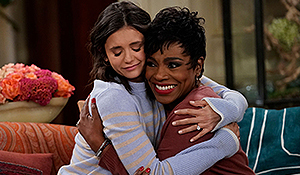 We look forward to seeing Nina grow more as a person, an actress, an advocate, activist and just a total awesome inspirational human being that she is. So many are inspired on a daily by Nina. It warms my heart to see all the fans of Nina’s so lifted up by Nina’s smile, her laugh and the fact that she takes time out to share parts of her life with everyone through her Social Media accounts. I would like to give a special thank you to Stephies and Jason for all the help they have done in the last year. Without you two it would have been very difficult to continue to keep NDN alive without an amazing team behind it, so from the bottom of my heart thank you both so much. 2018 is going to be another busy year for Miss Dobrev she has movies that are set to be released and she just turned 29 years old, so I would say the best is yet to come and we here at NDN would like to wish Nina nothing but the best for 2018 and always. Thank you all for continuing to visit the site and supporting Nina over the years, we here at NDN are forever thankful to all of you. Special Thank you to Kimberly at A Timeless Memory for the sites to Layout to Celebrate 8 years online!